Being too promotional: Posting too many promotional posts on your Facebook page will put off the people who would be interested in following you on Facebook. A post regarding the achievements you have made in your business every once in a while will be okay. Use posts that are more humane that will add value to the people that are following your business page. Focusing on likes only: Though it is comforting to see more people liking your page, it should not be your main focus. Focus more on brand advocates who will not only like your page but share it as well without asking for any compensation. Giving incomplete information: Posting information regarding your business that does not provide a full description regarding your business is a huge put off to your followers. For instance, you should not leave your customers guessing where the business in question is located or the contact details that can be used to reach the business. Writing very long posts: Do not use too many words in the description of your business. The fewer the words, the more likely it will be for a customer to read the entire post and to share it afterward. Posting out of context: Though you should not be too promotional in your posts, you extras should not be out of context. It should be on a topic that is related to your brand so that you maintain the focus of your followers to what the page is all about. 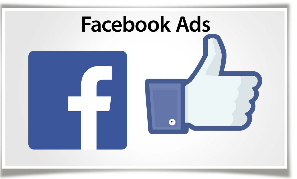 When Facebook is used in the right way, it will attract the right people to your page who will turn out to be great clients or refer someone else who will be interested in your line of business. If, on the other hand, you make some of the mistakes listed above, it could be a reason for the downfall of your business. You can look for an expert to manage your Facebook page if you feel that you are not confident in your marketing capability.